A dual citizen (UK/USA), Evelyn Ficarra was born in California in but has spent most of her life in Britain. She studied composition with Jonathan Harvey and Peter Wiegold at the University of Sussex, receiving her MA in 1986, and also studied at the National Film and Television School, graduating in Screen Music in 1994. She then had several years teaching and freelancing as a composer and sound editor, before returning to academia in 2005, having been awarded a Fellowship from the University of California, Berkeley. She completed her PhD in Music Composition and moved back to the UK in 2012 to take up a position at the Univeristy of Sussex where she is currently Lecturer in Music. Ficarra's work has received support from the Arts Council of Great Britain, the Arts Council of England, the London Arts Board, the Sonic Arts Network, the Ralph Vaughan Williams Trust, the Hinrichsen Foundation and Poems on the Underground (2016). She has had composer residencies at the International Electronic Music Studio (EMS) in Stockholm (1993) and the Djerassi Resident Artists Program (2004, 2012.) Her works have been short-listed for the Prix Noroit, Bourges and Luigi Russolo competitions. Her music has been heard in various formats (in concerts, theatres, music festivals, film festivals, television and radio broadcasts) in the UK, Europe, the Americas and the Far East. Her solo CD Frantic Mid-Atlantic was released by Sargasso in 1999. Other noatble projects include Rendition, for prepared piano, harpsichord and video, a collaboration with Keynote+ (Kate Ryder and Jane Chapman) and photographer/video artist Ian Winters, which premiered at the BMIC's Cutting Edge Festival in 2006; Submarine Revisited selected for the Unknown Public's Critical Notice project 2007 and London Cries (an exploration of current London street cries) for chamber group, solo voices and tape, commissioned by Poems on the Underground and the Apollo Chamber Orchestra and premiered in the City of London Festival in 2002, and subsequently performed in a British Council concert at the Hanoi Opera House in Vietnam, 2003. 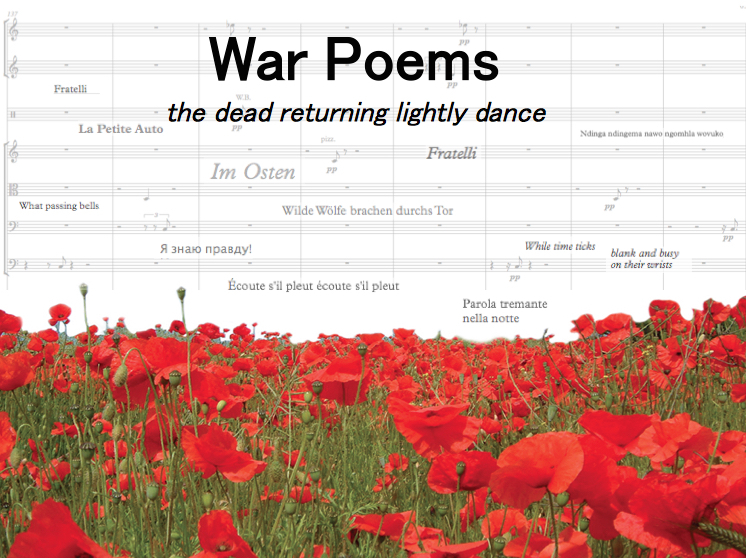 Recent projects include War Poems: the dead returning lightly dance for large ensemble and recorded sounds, commissioned by Poems on the Underground and premiered at the London Transport Museum in November 2016 ; O, One a five minute opera for two Nao Robots and cello, made in collaboration with Dr. Ron Chrisley at the University of Sussex, premiered at the Robot Opera Mini Symposium at the University of Sussex in June 2017; and Summer Winter Spring, a site specific installation / performance collaboration with Ian Winters and others, exploring time-lapse film and audio on Market Street in downtown San Francisco, premiered at the Minnesota Street Project SF Arts Ed Gallery as an installation and performance in January 2018. 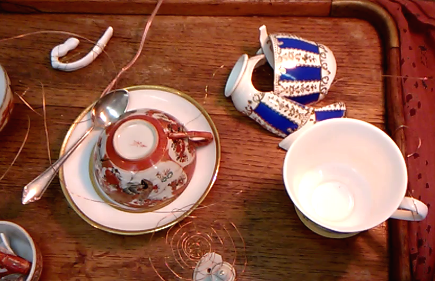 Current projects include Dissonant Futures for amplified prepared piano, live video and live electronic sound, a collaboration with pianist / composer Myra Melford and video artist Ian Winters, Evelyn will be in residence at the Experimental Media and Performing Arts Centre (EMPAC) at Rennselaer Polytechnic in late March / early April 2018, where she is collaborating on a new site-specific piece Listening Creates an Opening with Mary Armentrout Dance Theater. Evelyn also has an ongoing laptop improvisation duo soeurs sonores with Berlin-based composer Heather Frasch, with whom she performed recently at Studio Acht in Berlin (May 2017).